The hypocrisy of the Muslim Public Affairs Council (MPAC) has been on display in full force since last month's flotilla incident off the Gaza coast. In Washington, D.C., the organization's government relations liaison denounced Hamas as a terrorist organization, while in California two days later, a senior advisor omitted any mention of Hamas' complicity in the ongoing crisis in the Gaza Strip. We at the Investigative Project have repeatedly called upon MPAC to condemn Hamas and Hizballah as the terrorist organizations that the United States and the international community have recognized them to be. Typically, MPAC has skirted the issue by condemning "terrorism and any act of violence against civilians, including suicide bombings," while refusing to associate Hamas or Hizballah with those actions. Surprisingly, at a June 17 event on Capitol Hill titled, Perspectives on Countering Violent Extremism & Radicalization, Alejandro J. Beutel went the extra mile. During the question and answer session, Beutel was asked whether MPAC considers Hamas and Hizballah to be terrorist organizations. At first he gave his organization's stock condemnation of "attacks against civilians," but then he was pressed further. Audience Member: But in terms of their organization, not individual acts? Beutel: Again, like I said, you can go to our website. 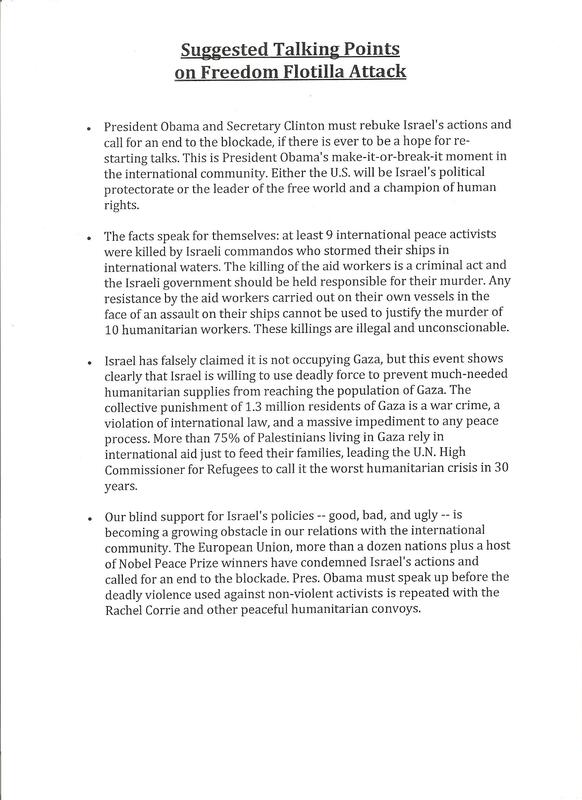 It's been very clear what our stance is and we have condemned them as terrorist organizations. There are two immediate take-aways from this exchange. The first is clear: Beutel should be commended for condemning the deliberate targeting of civilians by Hamas and Hizballah, and for calling them out as terrorist organizations. This one exchange, however, appears inconsistent with the public comments and actions of MPAC leading up to, and since, the event in Washington. "Our stance has been very clear for a number of years. You can go check out our website…you can just go through it and do a simple search on it and you will be able to find that." "The whole country keeps condemning Hizballah. I disagree with them on other issues, but on the issue of fighting to liberate their land and attacking only armed forces, this is legitimate, that is an American value—freedom and liberty." Maher Hathout at the National Press Club (June 18, 1998). "[The Israeli withdrawal] is a clear sign that determination and will can lead to the liberation of an occupied homeland. Hezbullah, the Lebanese freedom fighter group that led the effort to drive Israel out, is being widely praised throughout the world." "World Celebrates Israeli Retreat," The Minaret (June 2000). "The Palestinians have the moral and legal right to resist the Israeli occupation and MPAC supports that right." Salam Al-Marayati (April 2006). 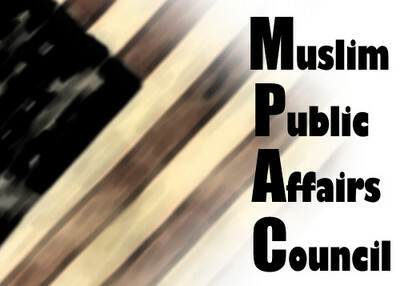 Like the Council on American Islamic Relations, MPAC often is quick to denounce "violence against civilians," and even acts of terrorism carried out by al Qaida, but when it comes to Hamas and Hizballah, MPAC's rhetoric is more reserved. It readily acknowledges that al Qaida is a terrorist organization, but MPAC hems and haws over whether Hamas and Hizballah are terrorist organizations or freedom fighters. At an ironically titled event, Set the Truth Free: The Freedom Flotilla & the Future of Palestine, held in California days after Beutel's comments were made, speakers gathered to discuss the situation in the Gaza Strip and the fallout from the flotilla. Rather than a balanced report of what occurred on May 31, MPAC's message was clear: all the blame rests with Israel. Even before a single person took to the stage to speak, a "talking points" memo distributed at the event provided some initial insight into the mindset of the organizers. Despite overwhelming evidence to the contrary (see here and here), MPAC described those aboard the Mavi Marmara as "aid workers," "humanitarian workers," and "peace activists." Despite reports that Hamas refused to allow in aid after the ship was searched by Israeli authorities, MPAC claimed that "Israel is willing to use deadly force to prevent much-needed humanitarian supplies from reaching the population of Gaza." This assertion isn't surprising, considering MPAC's long-standing double standard of castigating Israel while remaining silent in the face of similar Hamas actions. And while Beutel's comments just two days earlier seemed to indicate that America would see a more moderate MPAC, Maher Hathout's subsequent remarks hammered the message home that it was Israel, and Israel alone, that is responsible for the plight of the Palestinian people. "When occupied people breathe, they breathe resistance. This is natural, this is survival, this is honorable, this is accepted by all international bodies and international laws. Occupied people should resist occupation." "Israel is the occupier and aggressor in this conflict, and it has inflicted tremendous pain and desperation upon the Palestinian people. There is no moral symmetry between the violence that the occupier (Israel) commits and the violence that the oppressed (the Palestinians) commit. Palestinian acts of violence must be judged in the context of Israel's decades of aggression, dispossession, and oppression of the entire Palestinian people." While Beutel's comments were a welcome statement of condemnation of Hamas and Hizballah, they remain anomalies for the organization that would rather blame Israel for everything while giving terrorist groups a pass. Last October, MPAC's Executive Director Salam al-Marayati spoke at a J Street panel on How Jews, Christians and Muslims Can Work Together for Peace. During the discussion he explained that while he is a proponent of interreligious dialogue, there are limits to what participants should expect of the other side. As he wouldn't expect Jews to promote Muslim unity or advocacy, "you shouldn't expect me to promote Zionism." Nobody expects al-Marayati or MPAC to promote Zionism. And the organization and its leadership are entitled to their own opinions on the Arab-Israeli conflict. But they are not entitled to their own facts, and continuing to denounce Israel while ignoring Hamas' responsibilitiy is not only unhelpful, but counterproductive.